Monitor in-memory usage from within OpsCenter. 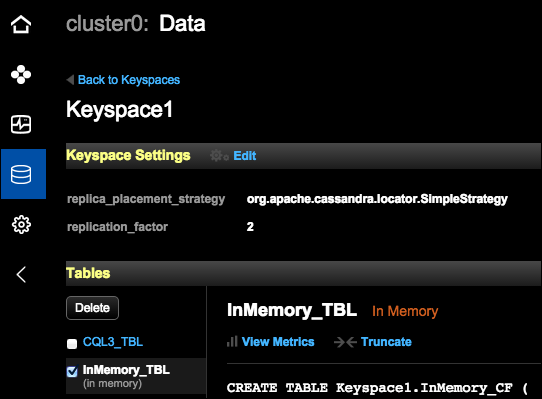 More information about Creating or altering tables to use DSE In-Memory is available in DSE In-Memory. The In-Memory Percent Used alert is available to configure for DataStax Enterprise nodes. If the in-memory usage exceeds the configured threshold, an alert is fired. Investigate the alert and adjust the memory threshold configuration as appropriate. 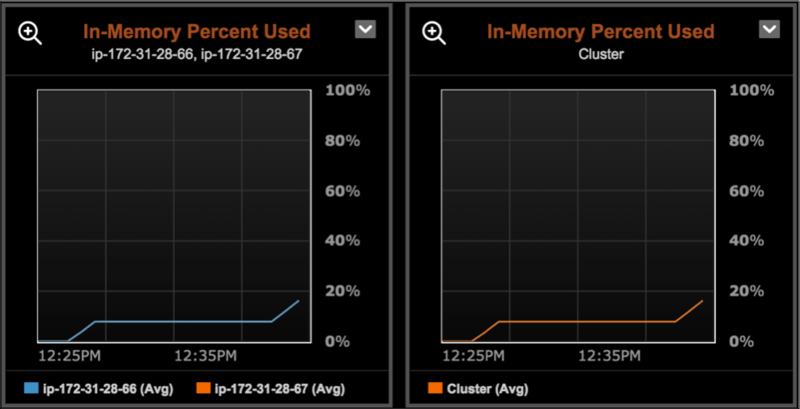 The In-Memory Percent Used metric is available to add as a separate graph in the OpsCenter dashboard. Click the node to view its details. The details for the node are displayed. 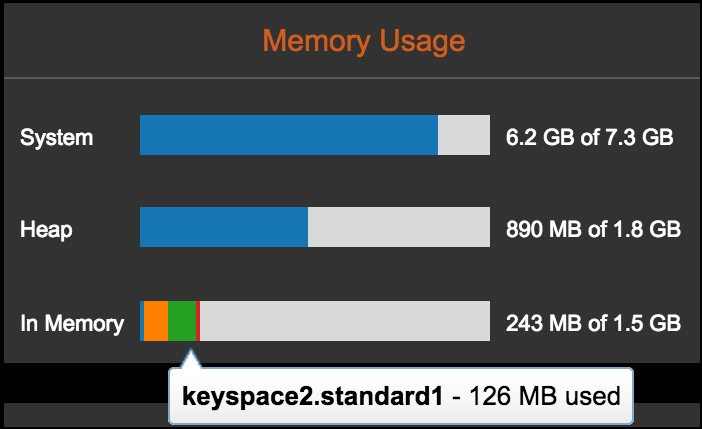 The Memory Usage bar graphs indicate System, Heap, and In-Memory Usage. The In-Memory Usage bar graph only appears if the In-Memory option is configured. The In-Memory Usage currently shown reflects all tables. Each in-memory table takes up a portion of the usage and displays as a different slice within the in-memory bar graph, up to the maximum threshold. The remainder of the graph represents free space.